One of my projects for the weekend will be to deliver this large canvas photo to its new home at a residence in Webster. Part of an under the trees series, the photo, “White Oak: Letchworth Park”, measures 36×72-inches. 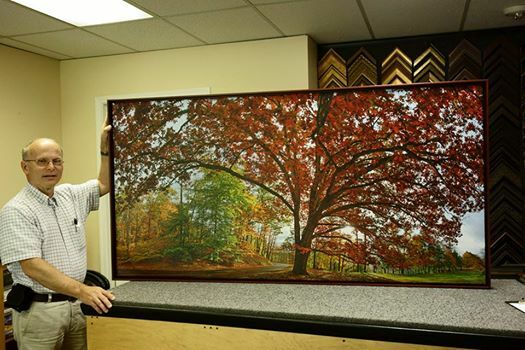 The careful choice by the client of a cherry wood float frame compliments the colors of the photo perfectly. The sale is through Image City Photography Gallery. This entry was posted in Image City Photography Gallery, Sales Success and tagged Letchworth, Trees. Bookmark the permalink.